Every Door Direct Mail (EDDM) is a popular service offered by the United States Postal Service. Here are the main customer benefits of EDDM. No database required. Customer choose the carrier routes they want to receive their mailing. Each address within the chosen carrier route(s) will receive the mailing. EDDM is easy to get started. 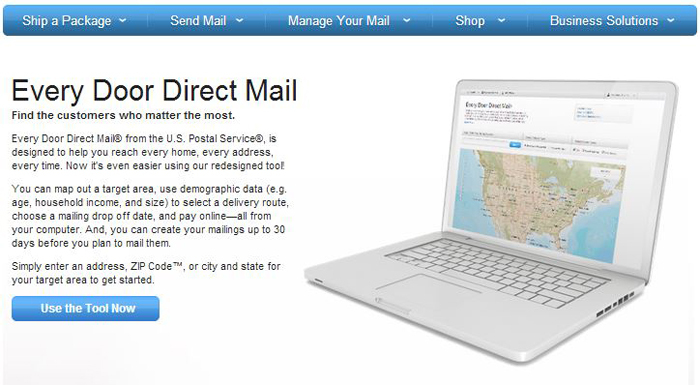 The USPS provides an on-line tool that makes finding your target market easy. Is Every Door Direct Mail the right choice for my business? Of course, this is just an abbreviated list. If your business relies largely on a specific geographic area, more than a specific demographic, then EDDM might be the right choice for you. Need more information about Every Door Direct Mail? Contact us at info@gatewaydigitalpress.com or call us at 314.436.4369 and we'll be happy to provide additional information.